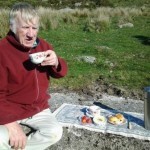 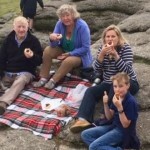 Devon Heaven Hampers have thrown down the gauntlet and compiled the Dartmoor Cream Tea Challenge! 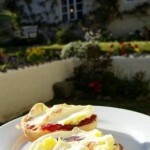 The challenge is to indulge in the consumption of cream teas in 16 venues across Dartmoor. 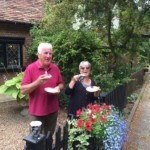 Some of our guests have taken this challenge in a delightfully different direction thanks to the village shop‘s takeaway cream tea’s. 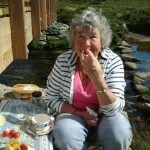 You can now take your cream tea out of the tea room and enjoy it anywhere on Dartmoor, Devon or further afield! 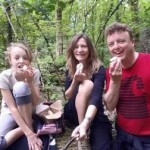 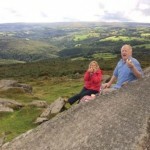 Here are some of our visitors rising to the challenge – let them inspire you for when you holiday on Dartmoor. 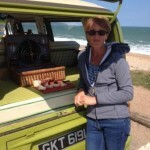 Where will you take yours, please share your photo’s with us by posting on our facebook page.